Hello and happy Monday! Its been crazy busy at our home with all of our Summer activities going on. 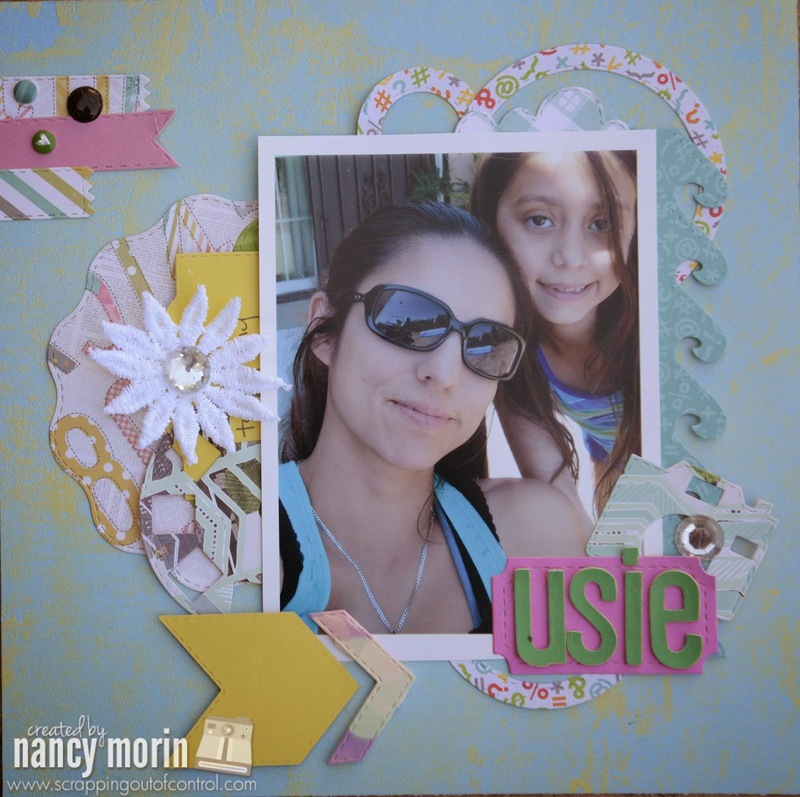 It feels like we have been non stop since school let out two weeks ago, yet the kids are starting with the "Im bored" stuff…So during the summer I figure I can catch up on some layouts. 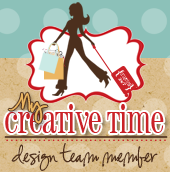 I love the Make in Minutes My Creative Time Challenge because you only have 20 minutes to finish a project. So I timed myself and I took exactly 15 minutes making this layout. I tend to pre cut all of my die cuts in bulk because when I smash or do some Project Life, I want to make it quick and easy. 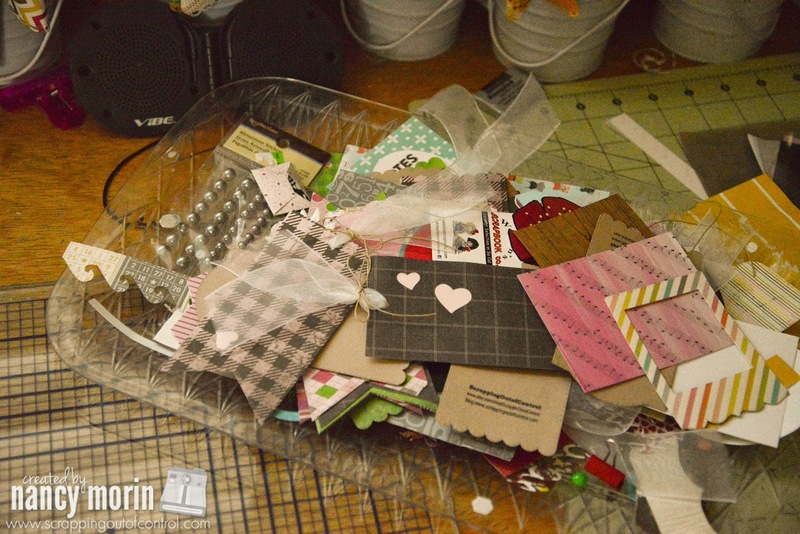 So I have this huge stash of die cuts and miscellaneous items on a tray. I tend to reach for this tray at all times. So it was very simple for me to make this layout! There are several MCT products used in this 8 by 8 layout. And I LOVE layering all of Miss Emma's products! So much fun! Here is a picture of my plastic tray. I found this at the dollar store. So far it has been working for me! Thanks for stopping by today. Make sure you visit the rest of the design team for more inspiration. Also, I have started my Summer Smash series on youtube if you would like to follow along. You can find it here. Big crafty hugs! Congrats on being Miss Emma's guest designer today!!! Your smash page so rocks. My goodness you sure did come up with so many marvy creative and clever ways to use Miss Emma's goodies. Love so love the sweet, adorable and precious picture. You are a very talented scrapper. There's lots of fun ideas in that tray. It's great for inspiration.! Super job on your USIE page. :D I like how you are totally fearless with the writings...I am working on it. Thanks for the update on Selfie, Usie and Groupie...I had not heard this one and now I know. Nice tip about your tray. It does help to have the extra cuts out to see. For me if they are out of sight I don't remember to use or this is helpful to try different things. 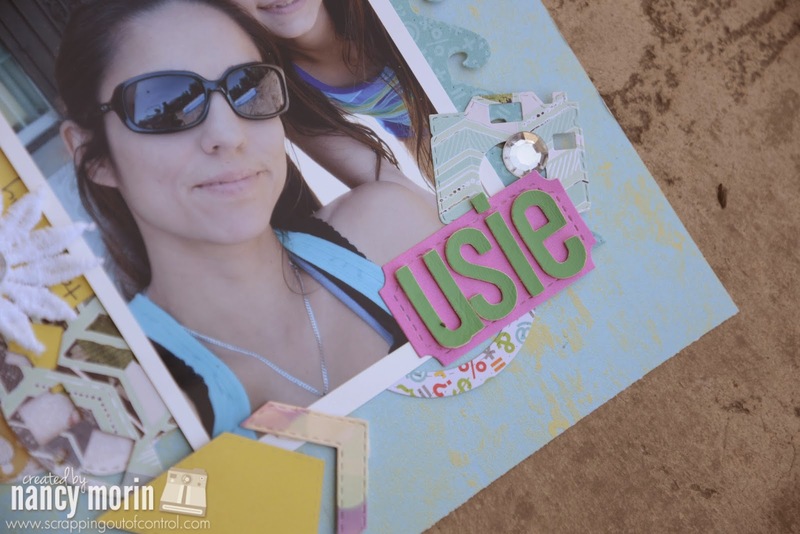 Love this idea and super job on your page. Super layout!! 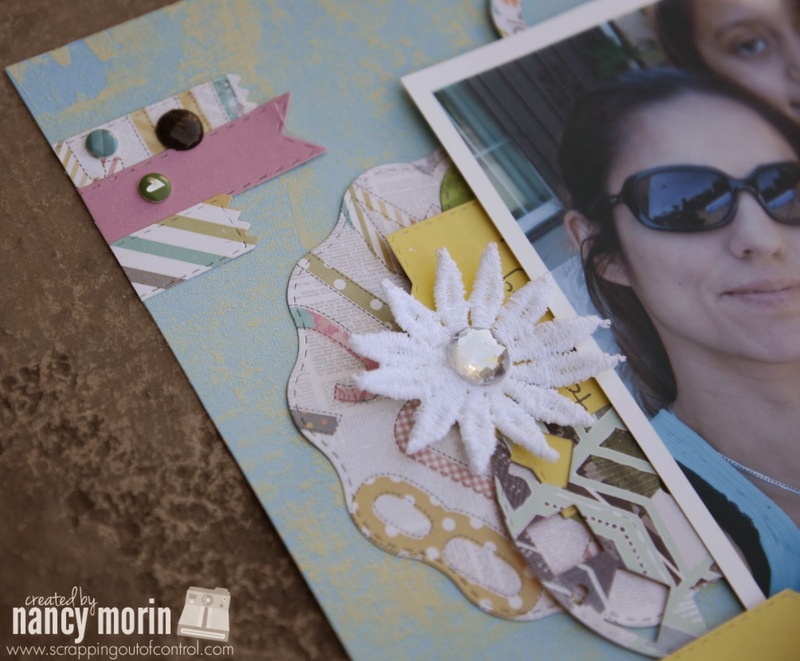 I love all the layers and the details that you put on here!! Thanks also for hte tip on the terminology, I had no idea about "usie" and "groupie", I just called them all selfies lol!! Hugs!! Oh Nancy ~ I LVOE it! I LOVE how you just make anything you touch work and look BEAUTIFUL! Of course LOVE seeing pics of you and your precious babies! BEAUTIFULLY done as always! Yes ~ the I'm bored has already begun too! UGH!